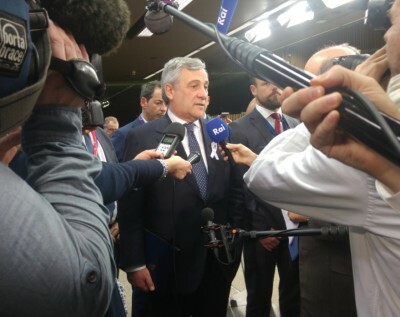 EUParliament Head Tajani to EF +French President Macron: April RDV+Citizen Debate before Decisions ? Home newsitems EUParliament Head Tajani to EF +French President Macron: April RDV+Citizen Debate before Decisions ? - Yes, Indeed, the French President Emmanuel "Macron is due to Come on April" to EU Parliament, as things stand Now, clearly confirmed, on Wednesday, its President, Antonio Tajani, an Experienced former Twice EU Commission's vice-President, f. Top MEP and former Italian Foreign Minister, in Reply to a wider "Eurofora"s Question (See Infra), as things stand Today. - It's on Tuesday, 17th of April 2018, that Macron is expected to Speak at EU Parliament in Strasbourg, in the Framework of an exceptional series of Hearings by MEPs of Heads of State/Government of EU Member States on "the Future of Europe", and, particularly, about the outcome of the currently on-going Franco-German Talks on the Future of €uroZone. 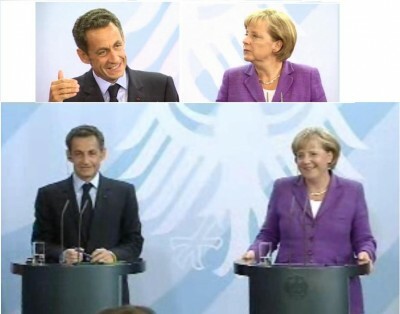 - Macron revealed, Later-on, Today, during his Joint Press Conference with Merkel, that he intends to Visit, Meanwhile, also Berlin, "in the Next Weeks", in order to Fine-Tune the Franco-German views mainly on Economy and €uroZone, etc. 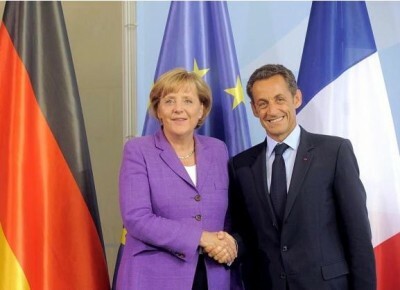 Such Franco-German Meetings are due to continue also on April, and even on May 2018, he added. + But, the most Important, from the point of view of "Eurofora"s above-mentioned Question to Tajani, is that the French President is Also expected, (according to other, Well Informed, French Sources), to "get out, shortly After his Speech at EU Parliament's Plenary, and go elsewhere to salute the 1st (EU) Citizens' Convention", which is due to Start in Strasbourg, that Same Day, Inaugurating a Long Series of similar Popular Events throughout all EU Countries, in the run-up to the forthcoming European Elections of May 2019, which are notoriously Planned to spread until around the End of 2018. 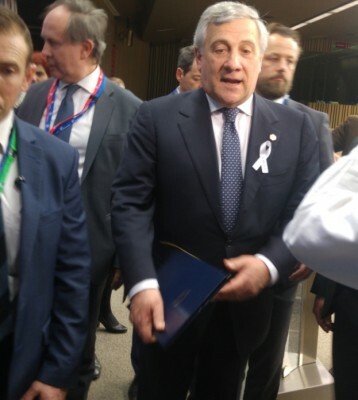 >>> And, indeed, the Main thrust of "Eurofora"s Question to Tajani was whether he found Both Feasible and Desirable for that Unique Opportunity of April 2018 in Strasbourg to be Seized io order to Kick-Start also a Joint Move between EU Parliament and various other Similar Popular Events, as those of EU "Citizens' Conventions", in order to Advance towards that kind of "Expression" of EU Citizens' Views on EU Organisations' Activities, and of "Regular Dialogue" between EU "Civil Society" and European Decision-Makers, as that which has been prescribed by the current EU "Lisbon" Treaty's Article 11, (since its Entry into Force, already as early as since 2010), but Not Yet really put in real Practice, at least not fully, (Comp., among others, also: ..., etc). I.e., something almost Identical to "Eurofora"s (+2007-2018) main Project for Systematic EU Citizens - Politicians Debates Before Decisions. It's also true, that, in Fact, on this particular Moment, as things are going on, it's not even sure that Antonio Tajani won't become, during the Next few Weeks, eventually, the ...New Prime Minister of Italy, (i.e. entering, ipso-facto, inside EU Council), as it was, notoriously, proposed to him, Recently, by one of the main Winners of the Latest Italian Elections, including the Experienced, former 4 Times Prime Minister himself, Silvio Berlusconi, now Head of a New Center-Right Coalition, (Together with Rightist Leader of the "Lega" party, Matteo Salvini), which Succeeded to arrive at the Top of the Votes, and might, even, attract the 2nd Frontrunner, Beppe Grillo's "5 Stars" Movement, in a New Kind of Pioneer Coalition Government, (See: ...). Macron's move came, Unexpectedly, at the very Last moment of his Reply to one of the Exceptionaly Few (3 each) Questions allowed during his Joint Press Conference with German Chancellor Angie Merkel, on the Conclusion of the March 2018 EU Summit in Brussels, where the (almost Synchronous !) Deadly Islamist Terrorist's cowardly Attack Targetting Civilian People in France (Aude) Hindered a Normal, (usualy much Longer) Dialogue with Journalists, since it obviously had to be Cut Short, this Time, in order to give him a chance to Returng Fast enough Back in France, where Tragic Events were still evolving when that Conference started. >>> Thus, "Eurofora"s Declared intention to Raise a Question related to Macron's wish for EU "Citizens' Conventions" throughout Europe, (Comp. Supra), which we had Transmitted by an Elysée Palace's Press Official, together with our ID, even if it could not be immediately satisfied as such, given the Short Time Available Now, in the Exceptional Context of a Deadly Terrorist Attack against Civilian People, nevertheless, seems to have helped Trigger an Interesting Reaction by the French President, who seized an opportunity given by a (partly unrelated) Different Question raised by a Collegue, (on the Conditions in which various Important EU's Top Jobs were reportedly Attributed to certain Candidates, instead of others), in order to add a Reply (indirectly but surely) also to "Eurofora"s Query (Comp. Supra), at the End of his Last Public Declaration, just before leaving Brussels ! - When "a Procedure has been Launched by the EU Parliament", which "raises several Questions" on Hot Topical Issues, then, "this Procedure Must be Followed" (also by Critical and Independent Observers, as, f.ex., Citizens, Journalists, etc), "and Transparency must be established, so that Decisions will be taken (only) After such a Procedure", he stressed from the outset, (on this special point). - For Macron, it's better to Raise Questions, establish a Procedure, and create Transparency : That's the way for things to be done, Democratically", as he characteristically Added. - On the Contrary, "If (a Critical Question) was Censored, (swept under the carpet), as if there was nothing, that would provoque a Problem", he Warned. - "But, (whenever) there is a Democratic Controversy, a Journalistic Controversy : It should be Fuelled. There is a Parliamentary Debate : it should be Treated with calm. And, when all Elements of Truth will be gathered, then, Decide", Macron urged. - "That's the Way for a Mature Democracy to stay Alive ! ", he proposed. I.e., "when, in our Democracies, we have the Capacity for Controversies, and to make them thrive in a Transparent Framework". - "Europe" should further Develop its Historic (Comp. Macron's landmark Speech at Athen's Ancient Pnix Rock, near Acropolis, where Direct Democracy had been Invented, at: ...) Capacity to be an "Area where Democracy is living, where there are Citizens' Controversies (Polemical Debates), and Issues are approached in Transparency", he advised. 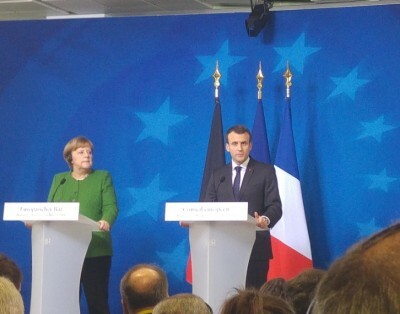 + "Truth, and Both Journalists' and MEPs' work, are very Important, in this Framework", the French President added, going even Closer to "Eurofora"s Original (1997-2018) Idea for News-Generating Citizens' Debates before EU Decisions. - "And that's why, (i.e.) in order to completely ReVitalize (European Democracy) ..., that I am a strong Believer in (EU) Citizens' Consultations ! ", Macron stressed. => - "The point is for (EU) Citizens to be able to Deal with (take posession of) all Issues of importance for them, in order to Share (Express/Present) their Proposals, and Will for Change", he Explained, (with an Amazing Relevance to "Eurofora"s +2007-2018 Project for European Decision-Making process). - It's a matter for "a Well-Functionning Democracy and Transparency" on Decicion-Making processes which are still "Evolving", he concluded. (NDLR : "DraftNews", as already send, Earlier, to "Eurofora" Subscribers/Donors. A more accurate, full Final Version, might be Published asap).